This blog represents an exploration of ideas and issues related to what it means to be a disciple of Jesus in the 21st century Western context of religious pluralism, post-Christendom, and late modernity. Blog posts reflect a practical theology and Christian spirituality that results from the nexus of theology in dialogue with culture. The first podcast for the Foundation for Religious Diplomacy is now published. It is an interview with J. Dana Trent and her husband, Fred Eaker. They are an interfaith couple. Dana is a Baptist minister, and Fred is a Hindu and a former monk. Dana is the author of Saffron Cross: The Unlikely Story of How a Christian Minister Married a Hindu Monk (Fresh Air, 2013). The volume can be purchased via the publisher at http://books.upperroom.org/fresh-air-books, via Amazon.com, and your local bookstore. Learn more at Dana's website. As I've mentioned previously, the next issue of Sacred Tribes Journal Vol. 8, no. 1 (Fall 2013) is devoted to an exploration of the ethics of evangelism. This is one of the best issues we've done, addressing a neglected topic from multiple perspectives, including an Evangelical exposition of the subject, a critique by a Hindu writer, responses by two Evangelicals, a review of Elmer Thiessen's The Ethics of Evangelism, and an excerpt of Myron Penner's The End of Apologetics with consideration of the politics and violence of apologetics in certain contexts. I am working with some folks to address technical issues related to an update on the website so the new issue can be uploaded there. In the meantime, I have created an electronic version for Kindle. Unfortunately, Amazon will not allow the option to offer the book for free, so I selected the minimum price of $.99US. So the Kindle book will sell for that price to interested individuals, and the journal edition at the STJ website will be free. Please help share this in your network among Evangelicals, Hindus, Pagans and others who may be interested in a great conversation on this topic. I would be happy to make the PDF file available upon request for those who do not want to purchase the Kindle version. I'll post a link to the STJ website piece when it is uploaded and published. *Update Nov. 11: This edition is now available on the STJ website. I have roots in the past in the Southern Baptist Convention, but over the years have not seen much in them that is encouraging in regards to interreligious encounters in the public square. That is, until now. To my great and pleasant surprise, The Ethics and Religious Liberty Commission, formerly headed up by Richard Land, now by Russell Moore, held a "Faith, Culture & Religious Freedom in 21st Century America" event. It involved a number of participants from both Right and Left, and it was great to hear Moore articulate his support for Christian involvement in working toward religious freedom for all, and not just for Christians. You can watch this interesting discussion here. The Benefits of "Weaker Arguments"
Previously I've shared my concerns about the way in which Evangelicals try to share their heart-felt concerns about their religious convictions with others. Many times it takes the form of sternly presenting the doctrinal propositions of our faith, which seem all too true and reasonable to us, and coupling that with strong arguments if not attacks against others. In its most extreme forms, this takes place when "street preachers" go to Mormon General Conference, homosexual gatherings, or Muslims festivals in places like Dearborn, Michigan, but also when Evangelicals go to Mormon pageants and hold up signs and shout sermons on the sacred turf of others. More often than not, we end up confirming the truth of our own views in our minds, and those we are trying to persuade end up never ever hearing what we have to say, they become defensive and entrenched in their own positions, and in the end Evangelicals have a huge perception as well as persuasion problem. At The World Table discussion forum I was pleased to see someone post a great essay that provides a counter-intuitive suggestion on how to be heard when we want share contrary perspectives with those that we seriously disagree with. The piece is titled "Want to Win a Political Debate? 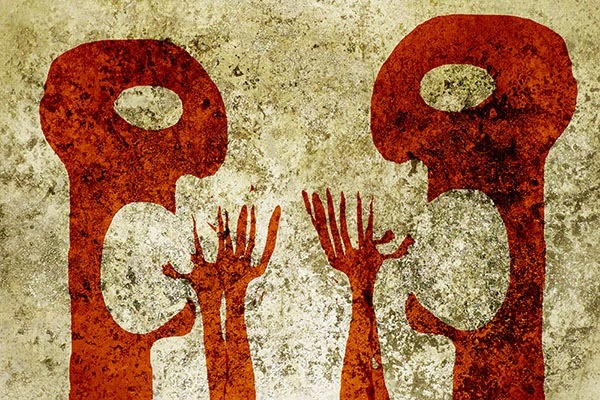 : Try Making a Weaker Argument" by Eric Horowitz from the Pacific Standard. The byline for the essay is "Gun control? Abortion? The new social science behind why you're never able to convince friends or foes to even consider things from your side." The essay is directed more toward the political end of the things, something desperately needed right now with the dysfunction in Washington, but it also has application to religion. The foundation for the essay comes from research in psychology which indicates that people are rarely likely to find the arguments of others persuasive when they undercut those foundational ideas that contribute to their self-identity and self-worth. In fact, research shows then when shown data and arguments that strongly counter our cherished ideas, we tend to doubledown in our commitments to such ideas, even to the extreme. Horowitz calls this the "backfire effect:"
"Research by Nyhan and Reifler on what they've termed the "backfire effect" also suggests that the more a piece of information lowers self-worth, the less likely it is to have the desired impact. Specifically, they have found that when people are presented with corrective information that runs counter to their ideology, those who most strongly identify with the ideology will intensify their incorrect beliefs." Instead, Horowitz suggests that the better way forward that will help people begin to consider our perspective is to offer a "weaker argument." He writes, "We argue like boxers wildly throwing powerful haymakers that have no chance of landing. What if instead we threw carefully planned jabs that were weaker but stood a good chance of connecting?" As I read and continue to reflect on this essay it seems to me that it has great ramifications for our rhetorical, dialogical, and apologetic strategies. Instead of firing our apologetic salvos that we think provide the unanswerable argument that our opponents should fall over and accept in defeat, what if we softened and “weakened” this approach and presented something that others might be willing to entertain because it’s not so threatening? Such a rhetorical approach sounds similar to the Apostle Paul’s recognition of God’s strength working through his personal weakness (1 Cor. 1:2-5; 2 Cor. 12:10). I also think this essay has much to offer those who are tired of the frequent disconnect between people who are passionate and disagree about things like religion and politics, and who are not content with merely preaching to the choir. Take a look, give it some though, and share your thoughts here and at The World Table. 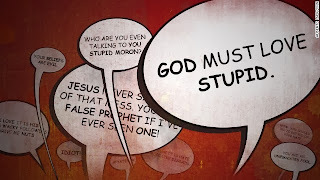 CNN Addresses the "Holy Trolls"
Over the weekend John Blake posted a great story at the CNN Belief Blog addressing the "Holy Trolls," those individuals who post negative, uncivil, and abrasive comments on religious websites or in response to religious topics. This is a huge problem that not only stifles productive conversation on these topics, but also changes perceptions of the topics themselves into negative. It also steals from the virtual public square with its function as a forum for us to discuss the most pressing religious challenges that divide us. Read Blake's essay, "Holy Trollers: How to argue about religion online," and then take a look at The World Table as a tool that directly addresses the challenges raised in the CNN piece. Mormons are adamant that they are Christian, and eloquent writers within their own faith have tried to make this case, but no theologian outside the LDS church has ever tried to demonstrate just how Christian they are. 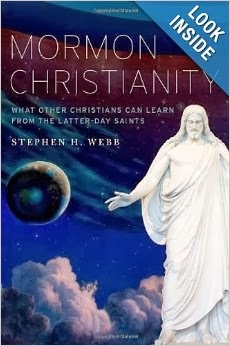 Stephen H. Webb's Mormon Christianity: What Other Christians Can Learn from the Latter-day Saints fills this void, as the author writes neither as a critic nor a defender of Mormonism but as a sympathetic observer who is deeply committed to engaging with Mormon ideas. Webb is unique in taking Mormon theology seriously by showing how it provides plausible and in some instances even persuasive alternatives to many traditional Christian doctrines. His book can serve as an introduction to Mormonism, but it goes far beyond that: Webb explains how Mormonism is a branch of the Christian family tree that extends well beyond what most Christians have ever imagined. His account of their creative appropriation of the Christian tradition is meant to inspire more traditional Christians to reconsider the shape of many basic Christian beliefs. Mormon Christianity is not all affirming and celebratory. It ends with a call to Mormons to be more focused on Christian essentials and an invitation to other Christians to be more imaginative in considering Mormon alternatives to traditional doctrines. Those interested in reading an accessible summary of some of Webb's thoughts related to the thesis of this volume can read his guest post on Sam Rocha's Catholic Channel at Patheos. As a cognitive adventurer, I am an academic researcher, writer, and speaker in intercultural studies, new religious movements, theology, religion and popular culture, and multi-faith engagement. I have an M.A. degree in intercultural studies which involved a thesis on Burning Man Festival, which is now available in book form through Lambert Academic Publishing in 2011 and available at Amazon.com. I am also the Director of the Western Institute for Intercultural Studies, and the Custodian of the Evangelical Chapter of the Foundation for Religious Diplomacy. David Waldron and the Forthcoming Book "The Sign of the Witch"
Burning Man "Hot Academic Topic"